The government’s plan to introduce swimming classes in all schools and colleges has yet to see the light of day as it remains only on papers, reported due to lack of infrastructure. The Ministry of Education decided to introduce regular swimming classes at all educational institutions under the secondary, madrasa and technical education boards in March last year. The government took the initiative – a practice common in many developed countries – to reduce numbers of death from drowning, sources said. “When Nazrul Islam Khan was education secretary, a circular regarding that decision was published, but there has been no follow-up on that; we don’t know anything about the project,” said Farhana Haque, deputy director (physical education) at the Directorate of Secondary and Higher Education. According to Bangladesh Health and Injury Survey 2005, drowning is the leading cause of death of Bangladeshi children, with 18,000 children dying annually from drowning. The study was conducted by Unicef in association with the Alliance for Safe Children and Bangladesh government. Sources said the commendable initiative still remains on paper because most district education offices and their field offices have not paid heed to the instruction. According to the circular, all educational institutions under the education boards must ensure that ponds are used for swimming classes with all safety equipment in place to train the sutdents. 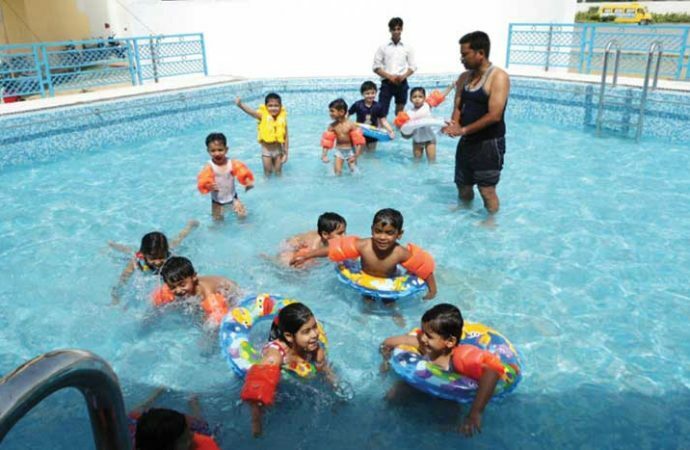 In regions where there are no ponds – such as Dhaka – schools were instructed to coordinate with organisations that have swimming pools to conduct the swimming classes. The ministry assigned district education officers and upazila secondary education officers to monitor the swimming training and send a monthly report to the director general of secondary and higher education. However, when contacted, many field level officers said lack of ponds on school grounds had limited the number of venues for swimming classes. Rajshahi district Education Officer M Rafiqul Islam told the Dhaka Tribune that he had forwarded the circular to the upazila offices, but had yet to receive updates on its implementation. In fact, he thanked the Dhaka Tribune for reminding him about the circular. “We forgot about it. There are no ponds in the city; where will the students swim? The ponds that we have are not suitable for swimming. So the circular did not have much impact,” he said. However, schools in some villages have implemented the initiative, he claimed.